A diverse range of local artists and mediums including ceramics, drawing , mixed media, painting, photography, printmaking, sculpting, textiles and wearable art. Castlemaine turned out in force on March 15th, along with students, their families and supporters from numerous other towns across central Victoria, for the student strike for climate. In fact Vline put on 4 extra buses to transport strikers and supporters from Castlemaine to Melbourne. Two young people from Castlemaine addressed the crowd from the steps of parliament in Melbourne, before the crowd walked several city blocks, carrying hand-made banners with simple and powerful messages. 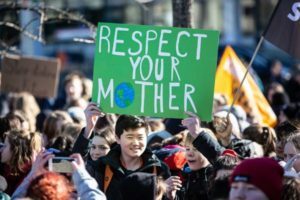 With more than 150,000 people striking across more than 60 locations in Australia, and more than 1.6 million people across more than 125 countries around the globe, this powerful and urgent movement, led by young people, continues to gather momentum. The student strikers are making three demands: Stop the Adani coal mine; no new coal or gas; and 100% renewable energy by 2030. The next strike, along with a national day of action, is planned for Friday May 3rd. Check out Localising Leanganook’s website- food for thought tab- (https://leanganook.org/food-for-thought/)to hear young student striker Harriet speaking at our community conversation in February. Also hear Elizabeth Boulton’s presentation, alongside the student strikers, focusing on a Hyper-response to the hyper-threat of climate & environmental change. Adani announced in November last year that they are proceeding with their mine. However, the company has no private sector funding, has not satisfied the legal requirements of its application, and still has a case against it in the High Court, taken by the traditional owners of the Galilee Basin, the Wangan and Jingalou People. 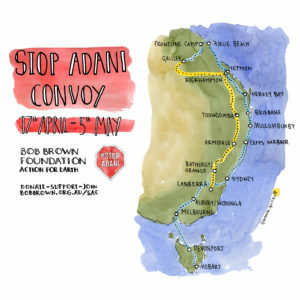 In spite of all this and in the hope that the mine will NOT proceed, the Stop Adani Convoy will leave Hobart on 17th April and arrive in Airlie Beach near Bowen in Nth Queensland, 8 days later on 25th April, before heading south again on 29th. The final stop for the convoy is Canberra on Sunday 5th May, where, hopefully, there will be a huge rally outside Parliament Building. If you want to go and need a ride, please contact Trevor Scott (trevorscott3@gmail.com) or visit https://www.facebook.com/stopadani/. People joining the convoy will need to look after their own meals and accommodation along the way. You can join the convoy at any point along the way, but obviously the sooner the better. You can do 5 Kms or 5,000 Kms. It doesn’t matter if you join for a short time and then leave – all support is gratefully accepted. Many people fear problems with conflict and communication in shared housing and living. This session by locals Samantha Wittenberg and Andrew Cowell will focus on such issues in constructive ways: A chance to experience how you can express your truth, be heard and listen in a way that leads to a deeper connection and understanding of your self and other. This is an opportunity to see how communication tools can benefit you in very practical ways, as someone who is considering living in community. Samantha and Andrew have a passion for supporting individuals, couples and groups to enjoy a more life-enriching way of communicating and connecting. They will share ways of understanding without needing to label, judge or evaluate and offer a language and techniques based on the principles of nonviolent communication. At the March meeting David Rigby explained how he had established an affordable and sustainable house for sharing with another person to allow for both privacy and some shared living. He talked about design, building and gardening challenges, personal negotiations and his experiences. Discussions are underway for the Eco Housing group to become a working group of Mount Alexander Sustainability Group (MASG). 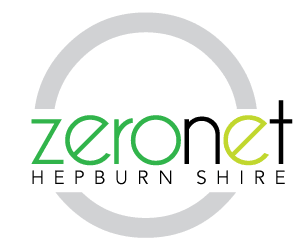 This 10 year masterplan for Hepburn Shire is a road map to reach 100% renewable energy supply, zero-net energy and zero-net emissions by 2029. The report includes findings on emissions by sector, by source and also by Hepburn shire wards. Initiatives include community engagement, home energy efficiency audits, resident ride-share, climate smart farms, reducing waste to landfill, sustainable building codes and much more. BirdLife International has identified areas of conservation importance around the world as Key Biodiversity Areas (KBAs). 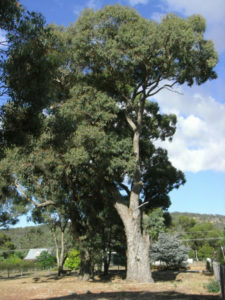 This includes KBAs here in our region – the Bendigo Box Ironbark area. Our KBAs were designated especially for their importance for two special birds, Diamond Firetail and Swift Parrot, and cover both public and private land. Three KBAs in the Mount Alexander Shire are Clydesdale-Strangways; Sandon-Strathlea; and Muckleford-Newstead. This is a free event, with morning tea and refreshments provided. Any questions, contact Ivan Carter at Connecting Country on (03) 5472 1594 or ivan@connectingcountry.org.au. From April to October 2019, Make a Change Bendigo are running a community initiative to encourage people to think and talk about the weather and climate, how it impacts us and what we can do about it. The Australia and New Zealand Society of Ecological Economics (ANZSEE) is seeking abstracts in response to their call for papers for the 2019 Conference, November 24-26, at RMIT in Melbourne. The escalating impacts of climate change and other ecological crises create an urgent need to address significant local to global environmental and social problems — degrading forests and agricultural land, polluted inland waterways and oceans, and dislocated social and cultural systems. 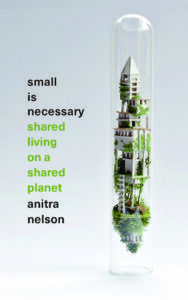 The ANZSEE 2019 conference will explore appropriate approaches and techniques for re-balancing the human–nature interactions that are central to the study and practice of ecological economics — solutions now and in the future. Defining, framing and understanding ecological economics for current ecological and economic challenges — where to now? Ecologically economic cities; vital rural and regional areas; post-anthropogenic cities; integrating urban and rural economic and ecological rifts; innovative governance in sustainable urban, rural and regional futures. Population limits; planetary limits; economics and planetary limits; the I=PAT formula today; immigration policies, refugees and migration; the problem of denial of limits. First Nations economics; decolonising ecological economies; innovative case studies from Indigenous communities. Appropriate technologies for, and threats to, ecologically balanced human societies. Key ecological economics concepts and approaches; case studies, proposals and existing practices. Defining and framing ecological economics; grassroots movements and ecological economics; effective communication models and processes; ecological economics informing economic transformation. Please send abstracts (250-word limit) and bios (150-word limit) to conference coordinator Anitra Nelson — anitra.nelson@rmit.edu.au by 11.59pm Monday 29 April 2019. Include a short title and up to four keywords for your contribution. We expect the selection process to be finalised mid-May 2019. Note that inexpensive conference registrations are now open: $200/$100 for two full days (25–26 November) plus $45 (dinner, 24 November) We have a limited number of places so we urge you to register early. Explore options and book here now. When: Saturday June 8, 1-4pm. Join Nicola Cerini at ‘Orto’ farmstay in Blampied for a relaxed and fun session creating your very own nature-inspired artwork on plywood. 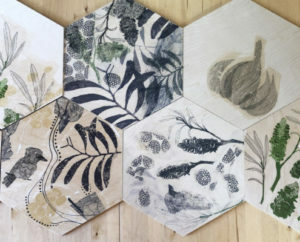 Learn two easy techniques and apply imagery to a pre-cut hexagonal plywood panel.This honey-comb segment could be the starting point of a larger biophilic artwork/interior project that you can expand on at home, or the end point of an enriching making experience stimulating ideas and inspiration. No experience is necessary. Nicola will provide some of her own designs to use or manipulate and if you’re feeling confident you can push the boundaries and create your own imagery and compositions using textures and patterns provided. Suitable for age 14 and over. Cost: $95 including afternoon tea. 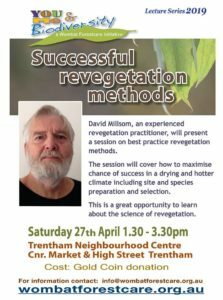 This workshop will be held at the beautiful straw eco farmstay ‘Orto’ in Blampied, between Daylesford and Creswick. The farm has limited accommodation for up to two couples. Applications for Al Gore’s Climate Reality Training need to be in by April 18th. The training is in Brisbane June 5-7. https://www.climaterealityproject.org/training. There is no charge for this training but you do have to apply and make your own way there. Daylesford/Newstead resident Laurel Freeland, who attended the training a few years back, is happy to field any questions for those who might be interested: laurelfreeland@bigpond.com. 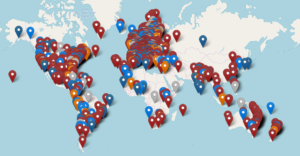 It is now time to ramp up the action on climate emergency and the training includes masses of up to date resources and networks. Don’t forget to save the date for SHED (Sustainable Housing Education Day) It has been two years since our last one, and we have four more beautiful, sustainable houses for you to look at and get inspiration from. We will showcase some of the most sustainable building techniques and materials with the added benefit of having the owners and builders there to talk to us about their experiences, talk you through the decisions they had to make and the pros and cons of each part of the build. At the end of the day there will be an informative panel discussion as well. Hans van Gemert is running a short (seven weeks) course through the U3A in Castlemaine in May/June. As not everyone can be a U3A member you can also do the course through us! We will run the 7 week course, starting 4th of May at the Ray Bradfield rooms. Hans offers a comprehensive and detailed series on topics ranging from the principles of heat flow to gap sealing and double glazing. Contact Mt Alexander Sustainability Group (MASG) office to book in or for more details. The North Central Catchment Management Authority is monitoring water levels across our region drawing on data available through Coliban and Goulburn Murray Waters’ websites. The Future is Rural report, (https://www.postcarbon.org/publications/the-future-is-rural/) published by the Post Carbon Institute, challenges conventional wisdom about the future of food in our modern, globalized world. It is a much-needed reality check that explains why certain trends we take for granted–like the decline of rural areas and the dependence of farming and the food system on fossil fuels–are historical anomalies that will reverse over the coming decades. Renewable sources of energy must replace fossil fuels, but they will not power economies at the same scale as today. Priorities will profoundly shift, and food will become a central concern. Lessons learned from resilience science and alternatives to industrial agriculture provide a foundation for people to transition to more rural and locally focused lives.